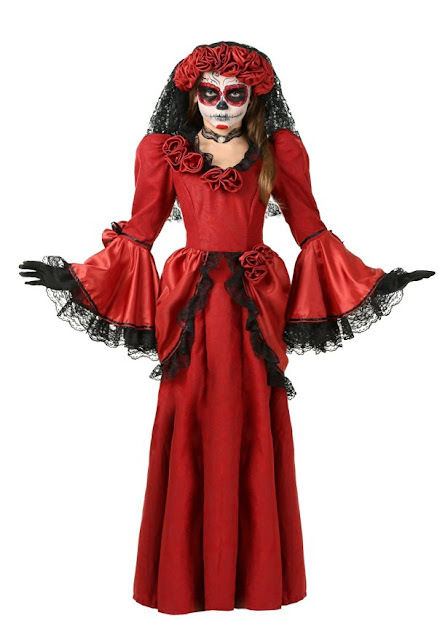 The Rosa Seniorita costume is from Forum Novelties. 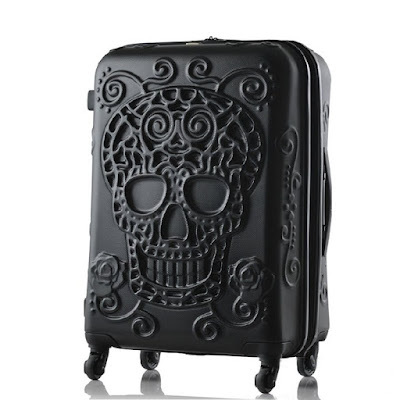 It features a full tulle tutu and sheer sleeves to give the appearance of rose tattoos on skeleton arms. 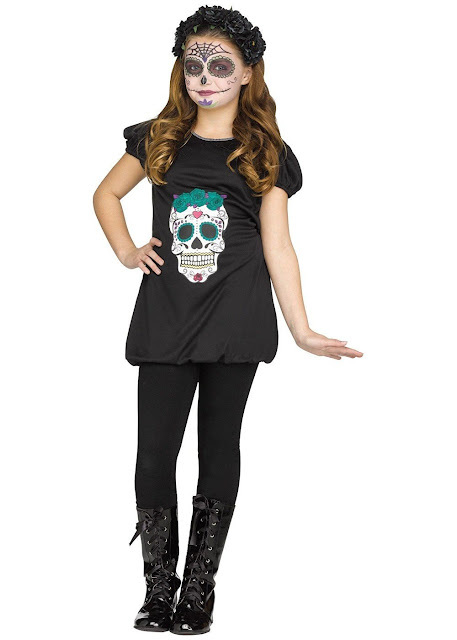 I vote for this Big Girls Day of the Dead Romper Costume because it's the least revealing and looks the comfiest! 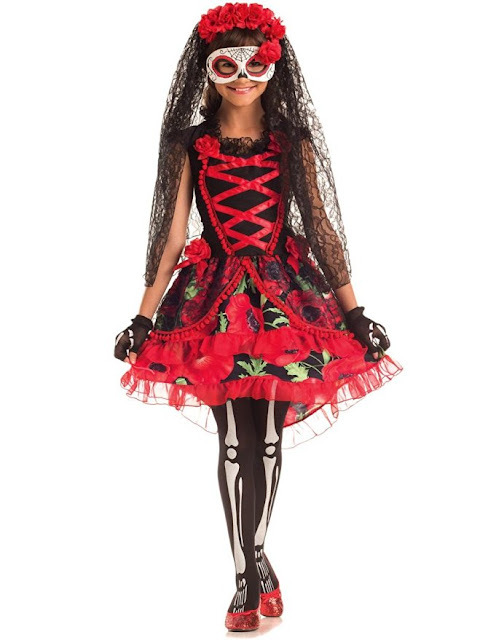 Party King's Seniorita costume for girls features a pretty floral skirt, skeleton gloves, and a gorgeous red and black veil and headband. This costume for bigger girls is called "Scared to the Bone." 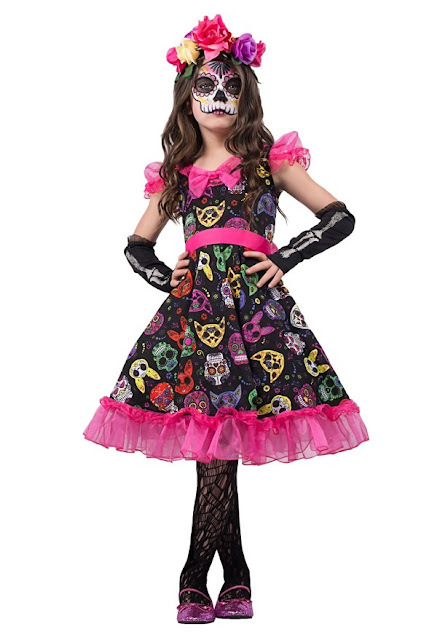 The girls' Sugar Skull Sweetie costume from Seeing Red features a flouncy hot pink skirt, and a skeletal animals print. 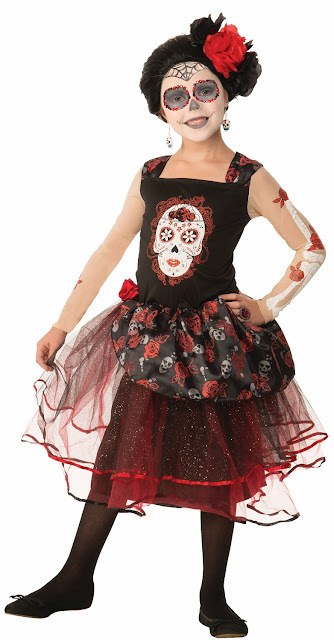 If your little girl wants a more elegant look, here's the red Day of the Dead costume from Fun Costumes.